Sensex falls in closing trade as Indian army blasts Pakistan border posts. Indian share benchmarks slipped by about 0.6% on Tuesday as investors rushed to book profit after a strong rally since the Centre and states finalised the goods and services (GST) rates for various items late last week. News of Indian Army's heavy firing at Pakistani posts across the line of control (LoC) added to the nervousness of investors, analysts say. 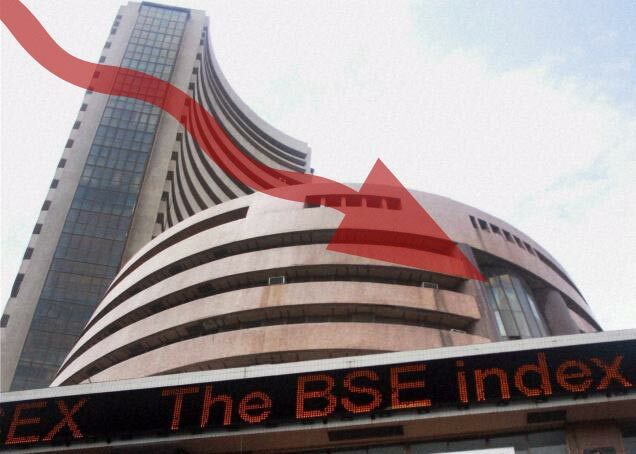 The BSE index Sensex ended down 206 points, or 0.67%, at 30,365.25. The Nifty lost the 9,400-level to close down 0.55% at 9,386.15. On Tuesday, the Indian Army said it is engaging in "punitive fire assaults" on Pakistani posts across the LoC to stop them aiding infiltrators into India, indicating to an escalation in tensions between the two nuclear-armed neighbours. "Pakistani army has been providing full support to infiltrators by engaging Indian Army posts," Maj Gen Ashok Narula said in a briefing. After the Army chief's media briefing, Sensex slipped close to 90 points in the last 30 minutes of trade to close at 30,365. "Geopolitical concerns are worrying investors globally," said RK Gupta, CEO and managing director of Taurus Mutual Fund. While investors have been booking profits ahead of the derivatives (F&O) expiry on Thursday, Gupta said the impact of LoC firing news on investor sentiment cannot be ruled out. Foreign funds have been rattled by the ongoing tension between India and Pakistan, as they flagged "persisting religious conflicts" and "Kashmir dispute" as potential risks to their investments in India. JPMorgan, one of the largest wealth managers in the world with asset under management of over $1.7 trillion, alone has flagged these "religious and border disputes" regarding investments in India in at least eight regulatory filings made by its various funds so far this month. Besides, a number of other funds, including the India Fund managed by Aberdeen Asset Management, which has more than $380 billion of assets under management, have listed similar "risks" in their regulatory filings made with the US Securities and Exchange Commission (SEC). Investors also factored in the gains of the proposed goods and services tax (GST) on companies as the government finalised the rates last week. On Tuesday, sectors such as healthcare, power, realty, PSUs, consumer durables, oil and gas and metals were down. Adani Ports was down 6.2%, Cipla 4.9% and Sun Pharma 4.3%. Sun Pharma fell as much as 6.1% in intra-day trade as its subsidiary Taro Pharmaceutical Industries reported a 25.9% fall in net sales for the March quarter and while decline in gross profit by $80.4 million to $143.8 million. ITC dropped 1.2% after a 6% surge on Monday. State Bank of India, Adani Ports, Sun Pharma and Gail fell up to 6% dragging the index into the negative. In Asia, Japan's Nikkei closed down 0.33% and China's Shanghai Composite fell 0.45%, Hong Kong's Hang Seng was flat and Korea's Kospi was up 0.33%. The Dow Jones Industrial Average ended 0.4% higher on Monday.